Tucked away in the remote mountains of Arunachal Pradesh in India, Mechuka shares borders with our neighbor, China. A two day scenic drive through the mountains will lead you to the epic landscapes of Mechuka Valley. Being included for the 2nd time during the popular “Adventure Mechuka” event in Arunachal Pradesh, team AMBIA created a promising downhill race for 2018. With all the buzz around “MTB Arunachal”, a seven day, stage XC race, Downhill race was a great addition in the event schedule, bringing more attention towards this growing discipline. A 1.5kms course with speed boosters scattered on the track, the racers had to be on their toes to be able to clock good timings. Mechuka valley is something from the postcards! But there was no time for the racers to get lost in the picturesque scenery of the region. A high speed course saw hard tailers and full suspension riders clock close timings in the two categories. 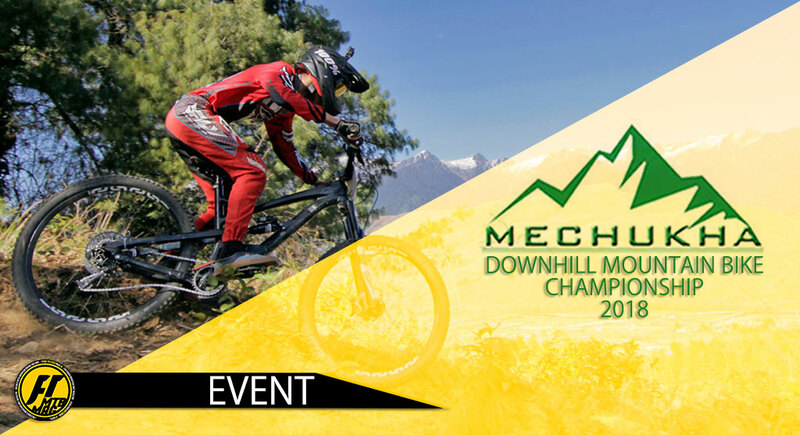 With one of the biggest prize purses in downhill racing in India, the Mechuka Downhill race saw full-suspension racers battling it for the 80,000 INR winner’s cheque and the Hardtailers for a 30,000 INR winner’s cheque! Another surprise from Assam in the hardtail category, Moontakim Ahmed speeding off to a 3rd place finish. Meghalaya’s podium regular, Apshai Niangti took the big cheque in the full suspension category with his smooth speed, while India’s OG freeride pioneer, Vinay Menon from Maharashtra cruised to a 2nd place with Nagaland’s Kevilebo Zhotso landing a 3rd on his XC 29er! In the hardtail category, Keviliebo from Nagaland took to the podium once again taking the win, followed by Nicholas Syrtinia from Assam in 2nd and Moontakim Ahmed in 3rd place. A borrowed hardtail and an XC Full suss is sufficient for Nagaland’s Kevilebo Zhotso to win races. Taking the winner’s cheque in Hardtail category. Maharashtra’s Vinay Menon is not new to the Indian DH Race podiums, on his way to a 2nd place finish in the Full suss cat. Shillong, Meghalaya’s young gun, Apshai Niangti is one swift kid to look out for. With top 3 finishes in most DH races he’s raced in 2018, the privateer racer, Apshai took the big cheque at Mechuka Downhill MTB Championship 2018. Arunachal Pradesh State Tourism Dept supported the event with a big prize cheque of INR.80,000 for the Winner, 60,000 for the second place and 40,000 for the third place finisher in Full Suss category. Along with, 30,000 for the Winner in Hardtail category! Making it the biggest prize purse in Indian Downhill Racing! Supporting the racers further, India’s homegrown, Psynyde Bikes presented their bling MTB components to some of the well performing racers. (L to R) Moontakim Ahmed, Kevilebo Zhotso and Nicholas Syrtinia – Hardtail category Winners. (L to R) Kevilebo Zhotso, Apshai Niangti and Vinay Menon – Full Suspension category Winners. Things are only heating up right now in the freezing region of Mechuka. In the coming years, AMBIA hopes to attract more mountain bikers from all over the world to this quite little valley in Arunachal Pradesh through more races and expeditions. AMBIA Crew, powering the Mechuka DH Championship 2018.